It wasn't yet the turn of the tritium-breeding test modules to be assessed on 2-3 July, but that of the components required for hosting them. 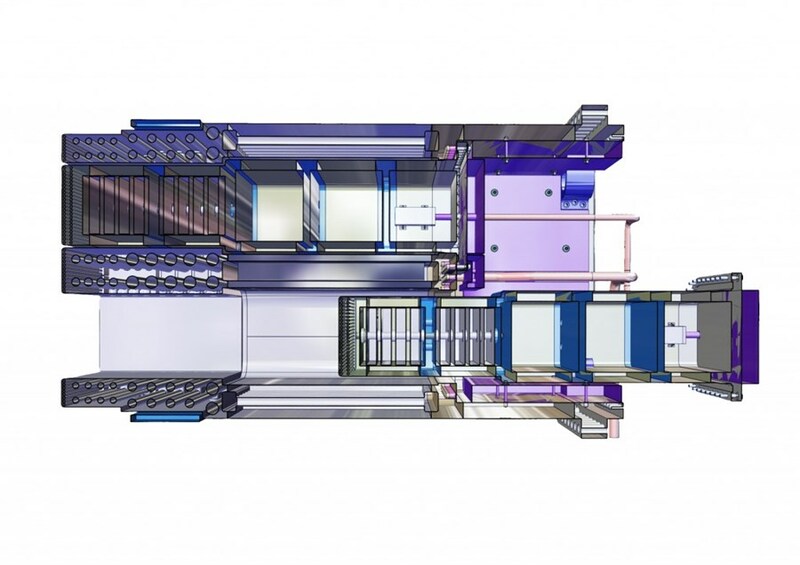 Last week the ITER Project—and the worldwide fusion community—celebrated yet another premiere: the first conceptual design review within the Test Blanket Module (TBM) program, a key technology development paving the way to fusion power. It was not yet the turn of the tritium-breeding test modules to be assessed, but that of the components required for hosting them. 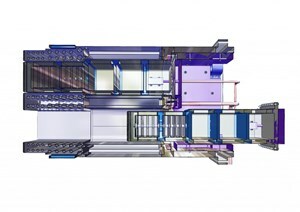 During its operational phase, ITER will draw upon the global (civil) inventory of tritium, currently estimated at 20 kilos. But future fusion power stations would have to create their own supply of tritium. 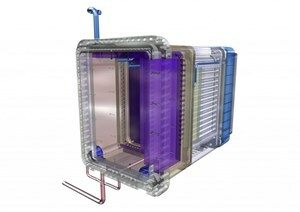 Part of ITER's mission is to test different tritium breeding concepts proposed and developed by the Members ... concepts that will enable future fusion reactors to produce their fuel within the machine (tritium self-sufficiency) and at the same time extract the heat produced by the fusion reaction and convert it into electricity. 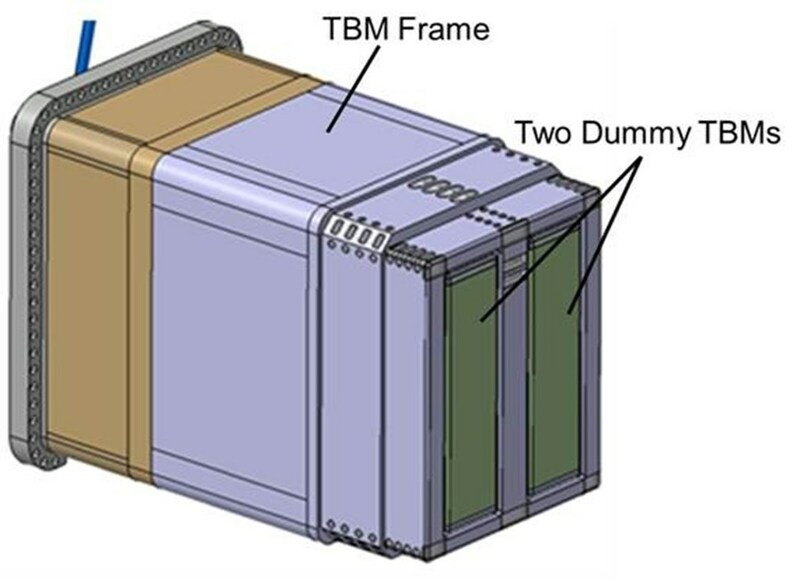 An illustration showing the replacement of dummy modules capable of substituting for the actual TBM sets. While six different tritium breeding concepts—the Test Blanket Modules—are currently in their pre-conceptual design phase, a group of experts lead by ITER Senior Engineer Guenter Janeschitz last week concluded the first design check of the modules' frames and housings, as well as the dummy modules that will be needed to substitute for the actual TBM sets in order to close and seal the port plugs in the case of delayed delivery or in case replacement is required. Mario Merola, in charge of ITER's in-vessel components, called the design review "a significant step forward toward the goal of testing tritium breeding technology." The current strategy foresees that the dummy TBM sets and the frames shall be made of water-cooled 316-L(N) steel (ITER grade), a special metal that guarantees reduced activation when exposed to neutrons, no ferromagnetic effects and adequate mechanical properties. To reduce maintenance time, the replacement of a TBM will be performed "off-line," meaning that the entire port plug (with its TBM sets, plus frame) will be removed, stored in the Hot Cell Facility, and replaced by a new plug with a new set of equipment. Delivery and installation of the six Test Blanket Systems is planned during the machine's first shutdown period following First Plasma. 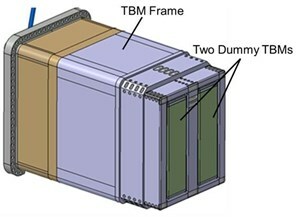 The object of the design review: the TBM frame and the dummy modules. "We looked at the design concept from all possible different angles and the requirements have been clearly identified," the Chairman Guenter Janeschitz stated in the panel's close-out session, praising the high level of preparation of the review. "A significant effort was made in the presentations to cover, in a quite comprehensive manner, systems requirements, design analysis, interface requirements and manufacturing aspects—therefore, the objectives of the design review were achieved. However, a few issues such as the potential contamination of the port flange, the still-insufficient shielding performance, the attachment of the TBM sets or their dummies to the frame structure, and the expected thermal stresses these components could be exposed will have to be further considered during the post-conceptual design phase."